Habitat for Humanity of Summit County (HFHSC) has recently come together with the city of Akron in efforts to beautify “blighted” areas. This non-profit organization builds and renovates homes in partnership with qualified families, using donated or discounted materials to keep it low cost. This not only helps families, but the surrounding communities. 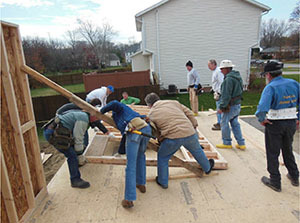 Each year about 1,500 volunteers build and repair homes in Summit County through HFHSC. 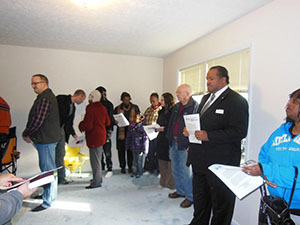 The non-profit has invested over 12 million dollars in new homes they’ve built, which includes over 170 new homes. Lately they’ve been doing more deconstruction demolition work. 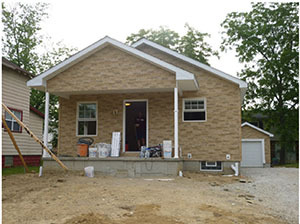 “If you’re familiar with the plan that the city of Akron has to eliminate blighted structures from neighborhoods, we are one of those contract partners,” Rochelle Fisher, President and CEO of Habitat for Humanity of Summit County, said. HFHSC has 3 specific programs and services that they offer. “We build new homes in partnership with families who want to do sweat equity, as well as purchase the home from us on the low interest mortgages. We also have a home repair program, and reconstruct and demolish homes to eliminate blight in neighborhoods,” Fisher explained. Then there’s their ReStore, a retail store open to the public that sells donated furniture, building materials and appliances. “We’re not just taking a bulldozer and a bunch of dump trucks out and tearing (a house) down in two hours. We’re being very deliberate about deconstructing it first. We take out recyclable features and resale type items that we can put into our ReStore,” Fisher said. 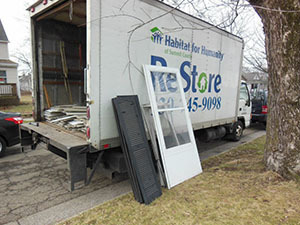 They recycle everything from shingles, dry wall and siding, to hot water tanks and furnaces. They put doors, windows, cabinets and light fixtures into their Restore. But keep in mind, just because this is a non-profit, doesn’t mean it is for struggling families. Families must be able to purchase the home and have to meet some strict qualifications. “They have to be pretty stable because they’re going to purchase this home. They have to fall between the 30 and 80% range of the area median income so they have to be working families. They have to have decent and responsible credit and their debt to income percentage each month has to be 39% or less, including having the mortgage,” Fisher said. “They’re not families who have traditionally been on public assistance or in public housing. They’re not on cash assistance programs. 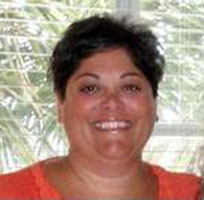 These are working families,” she continued. So what’s the benefit of building through HFHSC? “The benefit here is it’s a zero interest mortgage verses you go to a bank or mortgage company and may be paying anywhere between 2 ½ - 6 % on the mortgage interest rate,” Fisher said. Habitat for Humanity makes no profit on the homes themselves. “We build it, and what it costs is what we charge the families. It’s payable over 30 years at 0 interest,” Fisher said. “The average payment for our homeowners on an $85,000 purchased home, which is the average for us to build, is around $400 a month,” she continued. It also benefits the community. “They pay real estate taxes, so the county is collecting real estate taxes from our families. About $1200.00 a year in real estate taxes are paid to the county, as well as paying home owners insurance, shopping at the grocery stores where the homes are built, and their children are in the schools where their homes are built,” Fisher said. 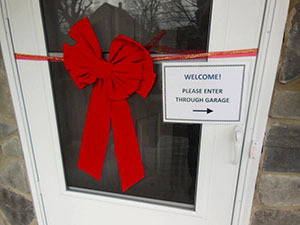 And if you aren’t looking for an entirely new home, but to enhance your own, they offer outside beautification services through their home repair program. “It’s an exterior home repair program so we can do things like roofs, windows, siding, doors, landscaping, painting, gutters – anything exterior that we can help to get a home in better shape, help make it more energy efficient. 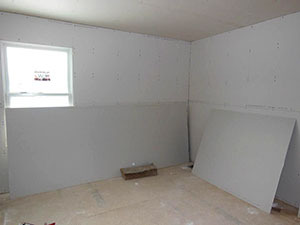 If we can put some additional insulation into a roof, that’s a part of our program,” Fisher said. 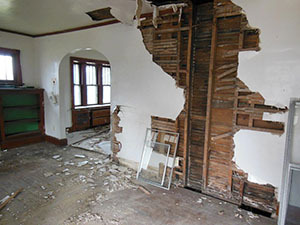 HFHSC builds year-round and their repair program normally runs from spring through fall. “We’re always looking for families. 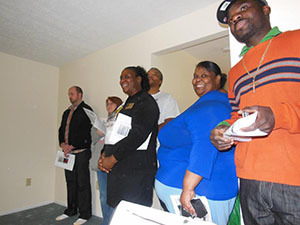 They go through homeowner education with us. We want to prepare them,” Fisher said. “And we’re always looking for volunteer groups, whether they’re companies that want to give back in the community and want to do corporate volunteer service or church groups that do mission service in the community. Were always looking or people who want to step up and help us fund what we do,” Fisher said. If you would like to visit the ReStore, it’s open on Thursday, Friday and Saturdays. For more info. please visit www.hfhsummitcounty.org .